After graduating from Harvard, in 1910 Robert Wrisley Atkins (1889-1948), the elder son of Edwin F. Atkins, joined E. Atkins & Co. In 1915 his second son, Edwin F. Atkins Jr. also graduated from Harvard. 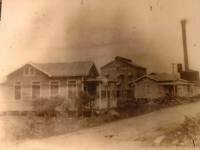 On August 13, 1915 with the expectation that a 3rd generation of Atkinses would take charge, the Punta Alegre Sugar Co. was incorporated in Delaware with Edwin F. Atkins as president. This concept was derailed when in 1923 Edwin F. Atkins Jr. died in a plane crash traveling from Key West to Havana as informed in this Global Shark Accident File report. At inception, Punta Alegre Sugar Co. was led by Robert W. Atkins who benefited from the experience and advise of the Boston investment firm of Hayden, Stone & Co. and of Eugene V. R. Thayer the president of Boston's Merchants National Bank who was in charge of the company's finances. During his years at the helm of the American Sugar Refining Co., Robert W. Atkins was president of Punta Alegre. In April 1926 Robert E. Atkins resigned to the presidency of Punta Alegre Sugar Co. and William C. Douglas representing the "Pittsburgh interests" became president. Financial difficulties caused by the Great Depression resulted in a reorganization that in 1931 transferred ownership of Central Báguanos and Central Tacajó to the newly organized Antilla Sugar Estates, a Cuban corporation subsidiary of Sugar Plantations Operating Co, in turn a subsidiary of The Royal Bank of Canada. 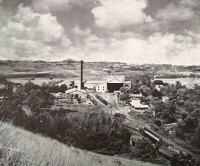 Antilla Sugar Estates continued operating the sugar mill until 1948 when The Royal Bank sold it to Salustiano Garcia Diaz who owned the sugar mills until nationalized in 1960.